Craftmark Homes-Now Selling Award Winning Floorplan in secluded new section! Fast Pace Sales in New urban Active Adult 55+ amenity-filled community-Crest of Alexandria! Private Elevator, Covered Terrace 2-Car Garage included-each home. Extensions Available. HIGH END Included Features. Best Value in FFX Co! 2019 Move-in. Pre-market sale - under contract before active. This property went under contract prior to going active. The property is sold in AS IS condition taking other factors into account. 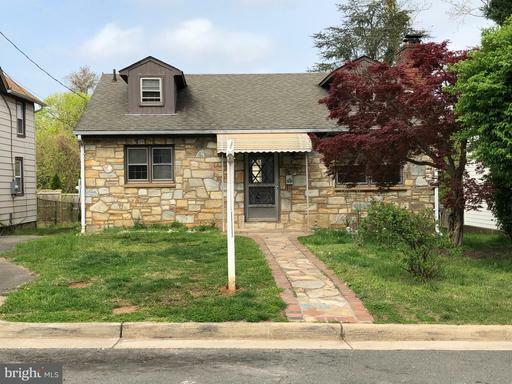 Welcome to the warmth and charm of 10415 Dominion Valley Drive~If you are looking for a retreat from Northern Virginia madness, you have found it on Dominion Valley Drive. This beautiful classic home on 5 acres has a stunning sunroom with vaulted ceiling and a view of the tennis court. The family room, living room and recreation room entice you to relax in front of the 3 cozy fireplaces, while the inviting country kitchen with granite counters, stainless steel appliances and a 6-burner gas stove creates a space for pleasant gathering. The washer and dryer are off the kitchen in their own quiet nook. Two bright and cheerful bedrooms with a full bath create a wonderful in-law suite on the main level and a second similar two-bedroom suite, perhaps for an au-pair, can be found on the lower level. The basement also includes a spacious recreation room with a wet bar or kitchenette; a roomy office with built in desk and cabinets; as well as oodles of finished storage including a large cedar closet; a workroom for messy projects and a second full size washer with hook up for a dryer; there are outside entrances on the lower level from both the recreation room and office to the back of the house. The master bath has been renovated to include double sinks and a large shower stall. The two upper levels are all hardwood floors except for the sunroom which has beautiful slate flooring. The two-car garage is oversize with high ceilings, built-in shelving and space to park a boat. Every generation will find something to love in this exceptional property.Leave the hustle and bustle, but know everything you need is only a few short minutes down the road~The peaceful Shadowalk community is nestled between Lorton and Burke in the Fountainhead district of Fairfax Station. The neighborhood is extremely horse friendly with its own beautifully maintained trails.Only 5 minutes away, Fountainhead Park has more horse trails with biking, boating, archery, fishing, mini golf and volleyball for an opportunity to enjoy a variety of popular activities.Quick and easy access to some of the other most popular parks in the region are very close; Sandy Run Park is for rowing enthusiasts; Burke Lake has many happy runners and fishermen; Occoquan Park provides a close launch for larger boats.The Laurel Hill Golf Club is just down the road, along with the Lorton Arts Center with wonderful crafters and events, while the Laurel Hill Park has plans for a state-of-the-art equestrian center.The historic towns of Clifton, Occoquan and Fairfax offer a myriad of festivals and events throughout the year less than 30 minutes away.The Fairfax County Parkway, I-95, Metro and VRE Commuter rail are a quick trip down Ox Road Rt 123. Shopping for groceries and dining out are only a brief 10 minutes or less, north or south. The Fairfax County Public schools for the community are Sangster Elementary and Lake Braddock Secondary. 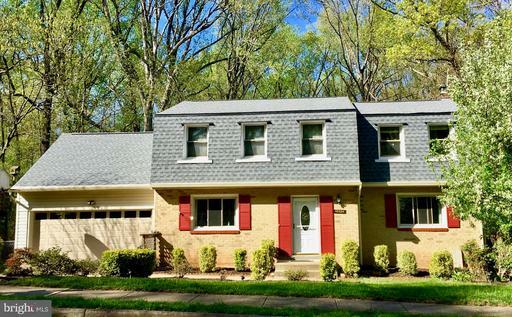 Rarely available, Highly sought-after Winterset Neighborhood*5 Large BRS, 3 Full Baths, 1 HB.Ideally located with so many options near I-495/EZ HOT Lanes/I-66/I-95/Rt 50/Dunn-Loring Metro/Mosaic District/Inova FX Hospital/Many Restaurants. 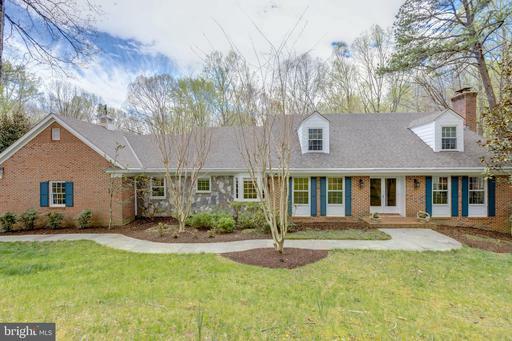 Move-In Ready for new owners w/eye-pleasing freshly painted neutral colors, gorgeous hardwoods, ceiling fans*BONUS Sunroom overlooks extensive, picture-book landscaping patio. You will be thrilled with a fully finished, light filled WALKOUT Basement complete w/Large Bedroom, Full Bathroom, Family Room, Gas FP, Incredible Bar for entertaining AND a side entrance. Top-rated Fairfax County Schools-Woodson HS, Frost MS, Mantua Elem. Amazing opportunity for garage townhouse with 3 bedrooms! New carpet and paint throughout. Hardwood on the main floor. Beautiful home in Amazing Location! Come see this beautifully updated Bucknell Manor home with high quality finishes that are right out of a magazine! Stylish updated kitchen, stainless appliances, stunning baths with jetted Jacuzzi brand tubs and Hampton Carrera marble, refinished floors, modern high efficiency windows and so much more! Fresh Roof, Hardie Plank siding, HVAC, water heater, and washer/dryer in 2014...the list goes on and on! 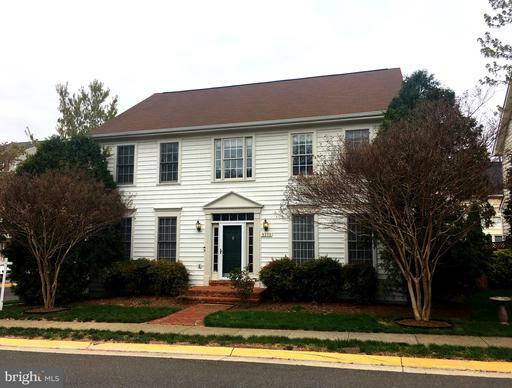 Very close to Old Town Alexandria, GW Parkway, and 495 with great local shopping options! Home warranty included! OPEN SAT 2-4PM! MORE PICTURES TO COME! 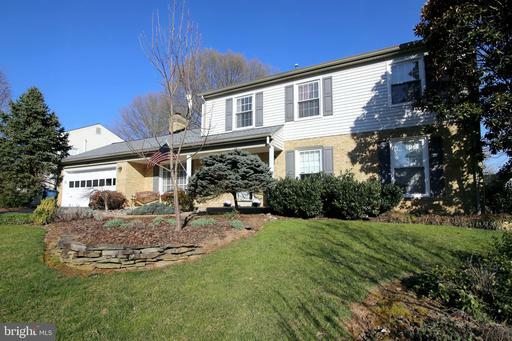 Gorgeous 5 BR/4.5BA/2 Car Gar Updated Colonial on a Picturesque Private Cul-de-Sac .41 acre Lot in the Heart of Reston. Over 4000 Sq Ft w/ Beautifully Appointed Updates. Gourmet Eat-In KIT w/ Granite, SS, Open to Family Room w/ FP. Main Level Study Dining/Living Rooms. Refinished Wood floors on ML. Upper Level Boasts 4 BRs and 3 Renovated Baths. Master Bedroom Suite was reconfigured and combined with part of the adjacent BR for an expanded WIC w/ built-ins. The New Master Bath uses the full space of the previous Master BA/Closet combination for an expanded Bath w/ Double Vanity, New Fixtures, Sep Soaking Tub Shower. The reconfiguration added a 2nd Full Hall BA on the UL for 3 Full BAs on the Upper Level! The Basement has a generously sized Rec Room, Bedroom, Updated Bath w/ Walks-Out to Patio Pool. The Main Level Composite Deck has a wooded view w/ Walk down to the Pool Fenced in Yard. The generously sized wrap around porch is one of the Seller~s favorite exterior spaces for personal enjoyment or entertaining. The home has been meticulously maintained. 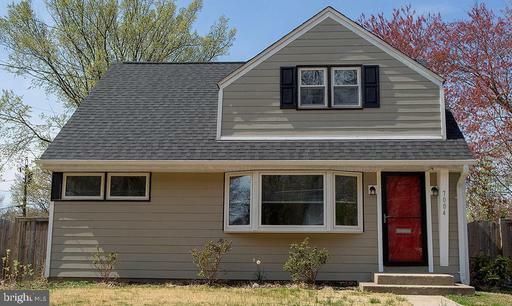 In addition to updated interior systems, the exterior has had extensive updates including replaced Roof 40 yr, replaced Insulated Siding with Tyvek home wrap, replaced Roof/Windows Updated Deck/Walkways added Irrigation System. With Neutral Paint and Modern Updates throughout, this home a MUST SEE and in Move-In Ready Condition. See DOCUMENTS for Complete list of Updates and the Owners~ Favorite Things about their home Community. Entertainers paradise inside out! 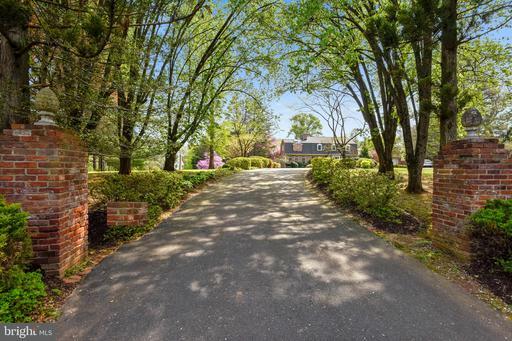 Sited on one of Viennas most magnificent lots backs to 53 acres of wooded parkland. Multi-level stone patios; situated on 1.25 acres of lush green space, at the end of a quiet cul de sac, this home has over 6500 sf of living space, hardwoods on 2 levels! a 3-car, side-load garage. Fabulous kitchen w/over-sized island w/gas cook-top, butlers pantry, double ovens, built-in work space, walk-in pantry new pendant lighting -- Kitchen opens to stunning great room w/cathedral ceilings, stone fireplace light cascading through palladian windows. Dual staircase allows access to upper level from great room provides over-look into main level. Generous sized laundry room on upper level w/front-load washer/dryer. Master suite offers spacious sitting room, walk-in closet, custom shelving, frameless shower, deep soaking tub surrounded by palladian windows, dual vanities and water closet. Walk-out lower level offers expansive living/play space with a gas fireplace, game area, recreation room, huge storage area, wet-bar w/dishwasher, mini-fridge. Separate bedroom with hardwoods full bath on lower level, ideal for au pair or in-law suite. Backyard offers a wonderland experience. Extensive hardscaping to include multi-level stone patios, outdoor fireplace, stone steps and a gorgeous fountain! Huge 4-season porch with cathedral ceilings overlooking 53 acres of parkland. Unique bedroom suite on the upper level offers jack jill bath walk-through study/den into a huge walk-in closet. Whole house generator! KINGS PARK WEST, Baron Model - 4BR, 3.5 BA, three level home, fronting and backing to woods. Sunny deck overlooking large yard with peach and apple trees. Hardwood floors throughout, finished basement with bar and kitchenette with bonus room for office/exercise. Roof two years new, Close to metro bus, VRE, shopping and schools, including GMU. 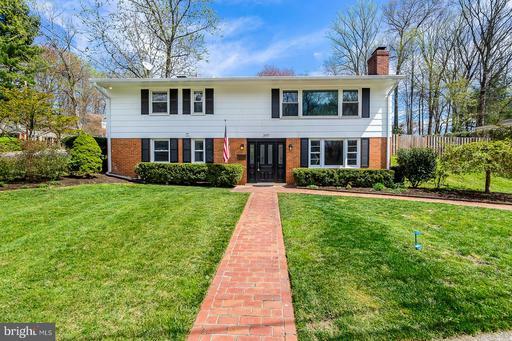 Remodeled home in the sought after Langley Forest area of McLean. Entering the home you find an open concept design with living, and dining areas. The living room has a double-sidedsee thru wood burning fireplace. The opposite room is a improved Florida room now fully finished with walk out doors. The updated and expanded kitchen opens up to a bumped out great room with cathedral ceilings and stunning wooded views. Wood floors can be found throughout the first floor.Just off of the great room are the first four bedrooms and updated baths.The rear deck overlooks a great yard for outdoor activities. Downstairs there is an expansive den, with natural light streaming in from the glass walkout.A large brick fireplace makes this a cozy retreat in Winter. Another bedroom and full bath can be found on this level. In the rear of the home you find a three car garage, that has hook up for electric vehicles. Move in ready Pristine detached home with 2 Car Garage. Enjoy the open concept kitchen and living area with access to a lovely outdoor entertaining space. Fenced in rear patio with lush landscaping that steps out from the main living area. The large basement has rough in plumbing and you can create your own space or just enjoy the ample extra storage. Stop your search! You have found the perfect one! 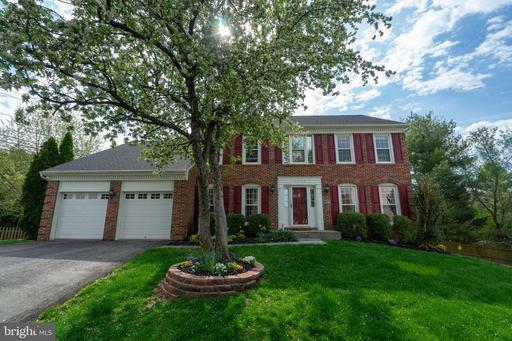 Well maintained 4 Bedroom, 2.5 Bath home in sought after Middleridge! Main level boast gorgeous wood floors and gas fireplace in the Living Room! 4 large Upper Level bathrooms and a spa like Master Bath. Plenty of room to spread out in the spacious lower level Rec. Room and exercise room. Entertain outside on the deck or patio in the landscaped, fenced backyard. Enjoy the peace and quiet of cul-de-sac living! Close to shopping, restaurants, GMU and 495. A real BEAUTY! Meticulous, meticulous, meticulous! Welcome to this superb colonial home in the highly sought after Daventry community of West Springfield. The delightful wrap around porch invites you inside this charming home that consists of a central hallway on the main level with beautiful hardwoods. Formal living and dining rooms have chair railing, crown molding and an abundance of oversized windows bathing the space in wonderful natural sunlight! The high end gourmet kitchen is super functional and pleasing to the eye with solid wood cabinets, a large central island for prepping and storage, elegant stainless steel appliances to include a gas stove top and built in microwave are complemented by the custom backsplash and gleaming granite countertops. An adjoining informal dining space adds convenience and overlooks the cozy family room with brick fireplace, built in book cases and french doors leading to the expansive custom deck. The outside space is simply serene and provides a secluded oasis surrounded by mature trees and offers a fantastic space to relax or entertain. Back inside a powder room and private study completes the main level. Ascend the staircase to the unusually large landing where you will find 4 fantastic sized bedrooms sprawling in each direction. The master suite offers ample space, multiple closets and a gorgeous spa-like bathroom with his and hers vanities. The additional 3 bedrooms all have fantastic light, views, closet space and share the beautifully appointed hallway bathroom. The lower level of the home offers multiple and versatile finished living spaces in addition to a third fully finished bathroom and large storage room. Every inch of this home has been updated with high end finishes and maintained to the utmost degree, nestled in the fabulous Daventry community that provides easy access to many major commuting routes and options to include VRE, metro, bus, HOV, etc. Convenient nearby shopping, dining and entertainment encompasses the little league fields, community pool, tennis courts and a fabulous bike trail currently displaying copious amounts of stunning bluebells. If youre looking for a turn-key home that shows like a model and truly lives up to those standards, look no more, and welcome home to beautiful Belleflower! FANTASTIC COMBINATION OF EXQUISITE HOME AND GARDEN AND LOCATION that you wont want to miss! 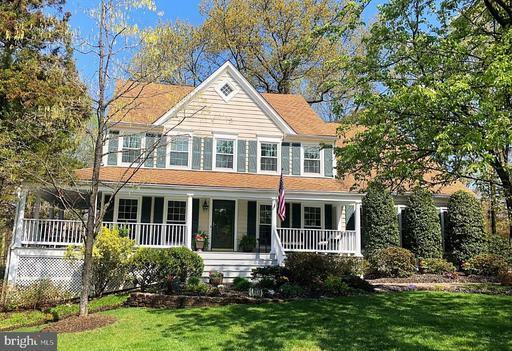 Enlarged 4 Bedroom, 3.5 Bath Colonial has a fantastic Great Room with Vaulted Ceiling off the Kitchen that opens out to a Resort Style Back Yard Oasis with an absolutely gorgeous Pool, Gazebo, Garden accents and more! The home has been updated with high quality features throughout and lovingly maintained by the original owners. The White Kitchen has gorgeous designer accents and more pantry space than you can imagine! Marble and Mahogany Mantel in the Family Room is just one example of the exceptional features that youre sure to love! The bedrooms are all very spacious, including the Master that has a quaint sitting room and a lovely updated Master Bath. Truly distinctive features make this home spectacular and ready for someone else to enjoy as much as the sellers have! The Virtual Tour has all the room dimensions! All major systems, including HVAC, HWH, Roof, Siding, Pool, appliances, etc. are either new or relatively recent and are all high end, highly efficient, and ready for many more years to come: Located within highly rated school districts, and close to every amenity you can imagine, including convenience shopping, Reston Town Center, Metro stops one current and more to come, commuting routes in every direction, and more! Truly an exceptional home! It is rare to find a property that has so much potential and opportunity. This is your chance to own an estate with over five acres in one of Great Falls~ best locations! Just off Seneca Road and Kentland, Blue Ridge Lane is a picture-perfect street leading past some of the area~s finest abodes. 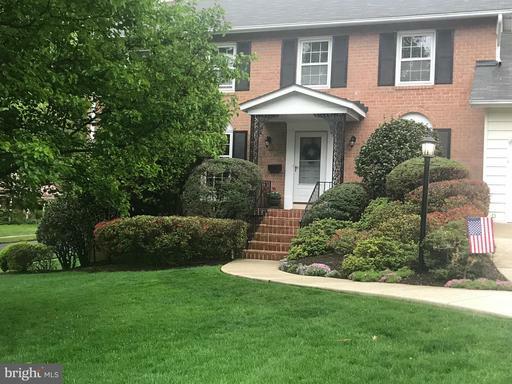 This quiet and serene setting allows all of the charm and beauty of Great Falls combined with the surprising convenience of the new towns of Dulles, Countryside, Potomac Falls, and Loews Island which are literally right around the corner. The best shopping, recreation, parks, and restaurants are just a few minutes away! Even Reston~s Metro and Town Center, as well as Tysons Corner, are just a few miles via quick and easy back-way routes. 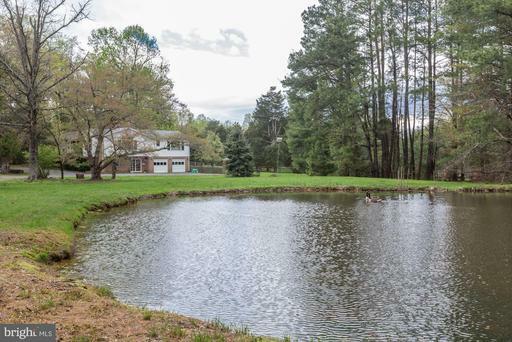 Near the end of Blue Ridge Lane, a quiet estate driveway leads through this unbelievable find. A sparkling pond is shared by visiting geese. Tall Virginia trees, flowering plants, and thick Conifers dot the land as sprawling lawns reach towards the house. Here you will find an expanded residence with a ~split-personality~. Its elegant colonial lines are contrasting with a contemporary architectural style marked by huge arched windows and interconnecting gables that provide both a country as well as an urban style. The interior is surprisingly spacious with open rooms and large windows overlooking far-reaching vistas. The living room has a three-sided stacked stone fireplace also warming the huge great room beyond. California style low-sweeping cathedral ceilings are enhanced with skylights. The formal dining room opens to a massive sun room wrapped in windows. The updated re-designed kitchen spans over twenty feet to the breakfast area. The master suite fills an enhanced wing with its dramatic cathedral ceilings, fireplace, bath en-suite, separate dressing room, and customized walk-in-closet. There are four bedrooms total, 3.5 bathrooms, four fireplaces, a two-car garage, a finished lower level with recreation room, author~s library/office, and more~.so much more. This is your chance to live in this great house the way it is, to expand it as you wish, or to start over with a new house resting on what could be Great Falls~ finest western lot! Looking for a private oasis window on Nature? 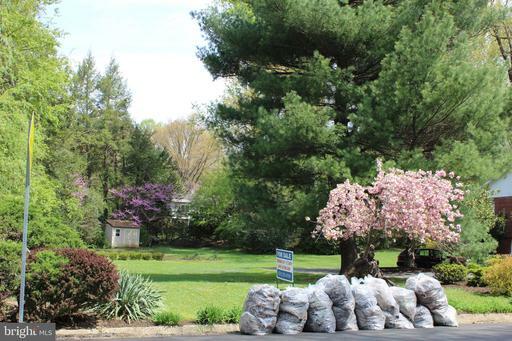 Beautiful, spacious home ideally situated on quiet cul-de-sac with scenic views to stream expansive, treed common area. Stately brick front custom brick walkway. Dramatic entry with gleaming, solid mahogany hardwoods, curved staircase architectural details. Renovated kitchen boasts granite counters, marble backsplash new stainless appliances. Large breakfast room family room off kitchen offer scenic views to woodlands at rear of home. Skylights wood burning fireplace highlight the family room. Large office on main suitable for optional uses. 2 light-filled sunrooms on main upper levels. Powder room has modern updates. Master suite offers walk-in custom closets, adjoining luxury bath with huge spa tub large sunroom as a relaxing, sitting area. 3 more large bedrooms on upper level plus renovated full hall bath. Fresh paint throughout the home new carpet on upper level, staircase other areas. Exterior trim wrap updated windows along with new energy star appliances, water heater, asphalt drive, garage doors added wall insulation for energy efficiency. HMS Warranty conveys. Lower level has room for all your activities with possible use for au pair or multigenerational living. Extra windows bring in abundant light including the 5th bedroom. Full bath is dual entry to bedroom activity area. Walkout to custom patio that wraps along entire back of the home ~ entertain, relax~enjoy the scenic views. 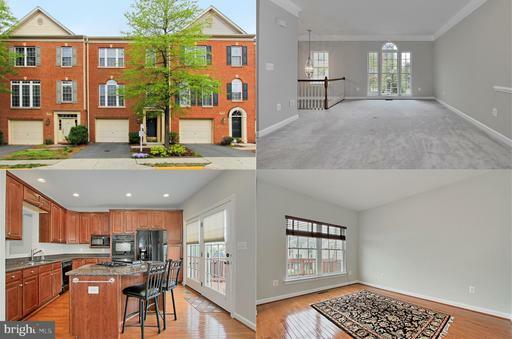 Wonderful 3-level Centreville Crossing townhome offers flexible floor plan perfect for daily living entertaining! New carpet was place 2019. Gourmet eat-in Kitchen features upgraded granite counter tops, 42-inch cabinetry stainless steel appliances! Adjoining Family Room includes a cozy gas fireplace and direct access to the delightful balcony. Three spacious Bedrooms and two full Bathrooms on the upper level. The master suite provides sumptuous en suite Bathroom with soaking tub, separate shower dual vanities along with two walk-in closets with incredible built-in organizers! Main level Living Rooms wall of windows and two-story ceilings is perfect for getting-togethers with friends family! Attached one-car garage makes parking easy secure. 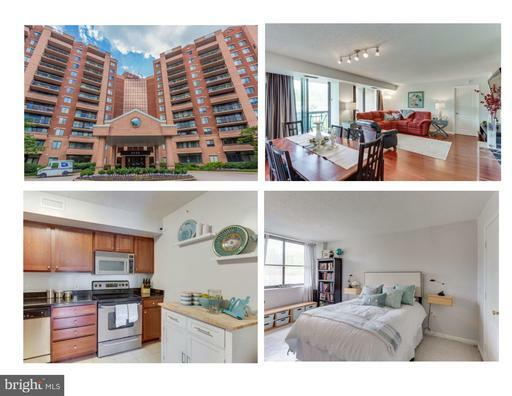 Fantastic location with quick access to major commuter routes including I-66, Rts 28 29 and plenty of nearby shopping, dining entertainment! Listing Broker: Westgate Realty Group, Inc. Listing Broker: UnionPlus Realty, Inc.
Over 3600 Finished sq. ft. in Hamlet col. 4BR. 4Full baths. Two F.Rs a, rec. rom - overlook gives drama - large MBR suite. French drs. lead to stone patio. Superb house for entertaining! An Apricot marble MBA. Agent is owner. 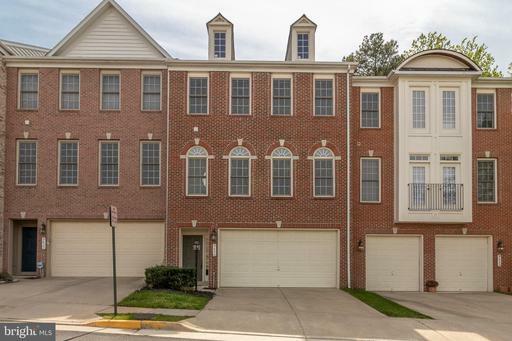 3 Bedroom, 3.5 Bathroom Townhome in Ridges of Edsall. 2 story foyer. Hardwood floors through main level. Living/dining area with three sided fireplace. Family room with fireplace Gourmet kitchen with 42" cabinets and granite counters. Spacious master bedroom and bathroom. Upper level laundry. 2 car garage, back deck and patio, fenced backyard. Close to 395, 495 and Metro. 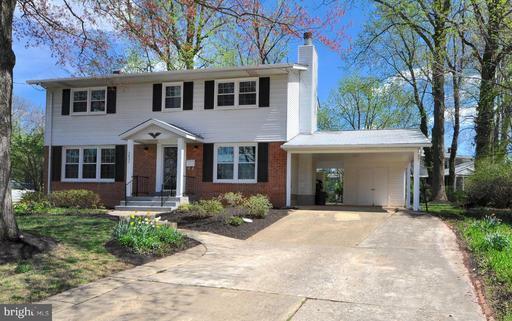 Fully remodeled home on a corner lot with a huge fully-fenced backyard! The large kitchen boasts upgraded cabinets and SS appliances, and each bathroom has been beautifully remodeled. The solar tube in the guest bath provides all-day sunlight and is solar-powered to provide a night light as well. The master shower features an exquisite, custom designed inlay with marble imported from Italy. The open floorplan on the main level is great for entertaining with french doors opening to a back patio and fully fenced back yard highlighting a completely re-landscaped garden. The lower level has been completely renovated, featuring a game room/additional family room centered around a stone fireplace, and a large bedroom and guest bath off a private hallway. Custom irrigation system with connection to Natl Weather Srvc. Stop in asap! This home will not last! Listing Broker: Keller Williams Realty/Lee Beaver Assoc. BEAUTIFUL HOME WITH 3 FINISHED LEVELS. FULLY FINISHED WALK OUT BASEMENT. 2 MASTER BEDROOMS WITH VAULTED CEILINGS. POTENTIAL 3RD BEDROOM IN BASEMENT. BIG RECREATION ROOM IN BASEMENT; KITCHEN HAS GRANITE COUNTERTOP;NEW DISHWASHER; FRESH PAINT; NEW CARPET IN UPPER LEVEL BEDROOMS AND STAIRS.NEW SLIDING DOOR BASEMENT; NEW FRENCH DOOR KITCHEN; ALL NEW WINDOWS; BIG COMPOSITE DECK; 2 ASSIGNED PARKING SPACES PLUS ONE RESERVED STICKER.CLOSE TO I-66, Rt. 28, Rt. 29 SHOPPING CENTERS. HOUSE IS IN VERY GOOD MOVE IN CONDITION BUT SELLERS WOULD LIKE TO SELL AS IS. SELLERS OFFERS HOME WARRANTY NOT TO EXCEED $500. Exquisite 4 bedrooms, 2.5 bathrooms colonial home with in ground pool. Spacious floorplan. Gourmet kitchen with SS appliances, induction range, 3 ovens, warmer, espresso and smart microwave. Family room with brick walls, wood burning fireplace. Master bedroom with skylights and gas fireplace. Master bath with double vanities and shower heads. 2 car garage. Walk to Metro! 5304 Kaywood Ct Fairfax, VA 22032. King Park West~s Baron model located on a cul-de-sac. Four bedrooms, 2 full bathrooms, 2 half bathrooms. Main level offers hardwood floors, fireplace in family room, and gorgeous screened porch which leads to sun deck. Upper level master bedroom with walk-in closet and complimentary smaller closet. En-suite full bathroom. Access to bonus room over the garage, perfect for office, study, or yoga studio. Three additional ample sized bedrooms share hall full bathroom. Lower level features walk-out recreation room, a den with closet and dual entry to half bathroom. Laundry room with Carrier 2011 electric HVAC and Kenmore water heater. 2018 Roof, 1-car garage, double driveway. FCPS: Oak View Elementary School and Robinson Secondary School, both just a few blocks away. Close to Metro bus routes and the Burke VRE. Options for pool memberships. Active Civic Association, no HOA. 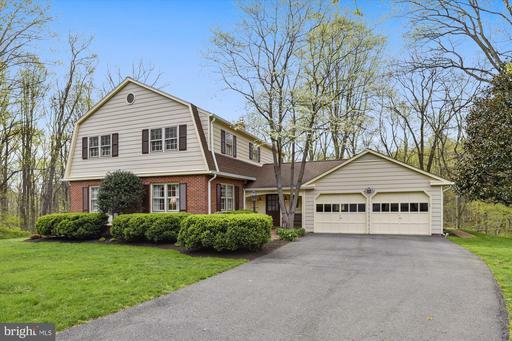 SPREAD OUT IN THIS STUNNING COLONIAL WITH 5 BEDROOMS, 2.5 BATHS ON CUL DE SAC WITH 2 CAR GARAGE, BACKING TO TREES! ENJOY MEALS OR YOUR MORNING COFFEE ON THE CHARMING SCREENED IN PORCH OR REAR DECK WITH COMPOSITE DECKING AND BUILT IN SEATING*COUNTRY KITCHEN W/ SEPARATE BREAKFAST ROOM*FORMAL DINING ROOM LIVING ROOM*WARM AND INVITING FAMILY ROOM WITH PINE/WOOD WALLS, EXPOSED BEAMS AND BRICK GAS FIREPLACE WITH CUSTOM MANTLE*MAIN LEVEL LAUNDRY AND POWDER ROOM*MASTER BEDROOM SUITE ON UL W/RENOVATED MASTER BATH*4 ADDITIONAL BEDROOMS ON UL W/FULL HALL BATH*FINISHED LOWER LEVEL WITH SPACIOUS REC ROOM, WET BAR AND CEDAR CLOSET IN STORAGE AREA* RM MSMTS APPROX. A MUST SEE!!! Bright and open 2 bedroom 2 bath condo. Kitchen features granite counter tops, stainless steel appliances and tile floor. Freshly painted with new dishwasher and Nest thermostat. Luxurious bathrooms with granite counter tops tile floors. Tons of amenities including rooftop pool, clubhouse, business center and lounge. Short distance from Reston Town Center and future Reston Town Center metro station. 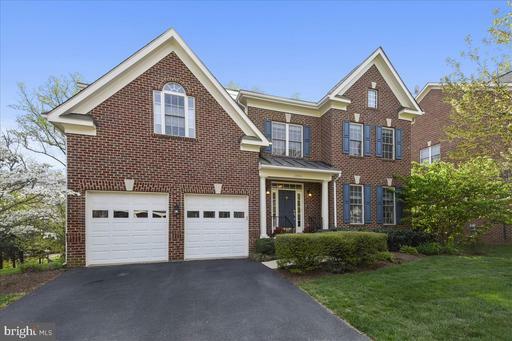 Impeccably maintained move in ready Colonial in highly sought-after Summit Oaks. Exquisite details throughout from the gleaming hardwood floors, to the high-end light fixtures and sparkling granite counters. Open concept main level features an expansive family room, kitchen and sunroom addition off the family room. Gourmet kitchen is sure to please any chef with its ample counter space, double ovens, huge island and gas cooktop. From the kitchen and sunroom walk right out onto your private deck overlooking trees! Laundry conveniently located upstairs by the 4 spacious bedrooms including the private master retreat with sitting room, walk in closets and spa bath with huge soaking tub. Oversized walk out basement with 5th bedroom, full bath, rec room and your own private theater! 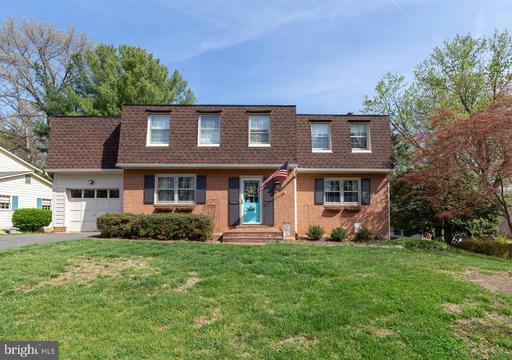 Excellent location on the end of the cul-de-sac and just minutes from all major commuting routes, I-95/495/395 FFX Co. Pkwy, Franconia-Springfield Metro and Lorton VRE. 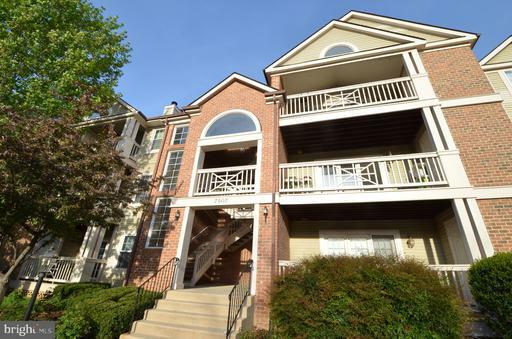 TWO BEDROOM TWO BATH CONDO IN THE HEART OF KINGSTOWNE! Come and ready to be impressed by the pristine condition of this unit. Brand new HVAC, freshly painted top to bottom, new flooring throughout, new SS kitchen appliances, the list goes on! Enjoy the Kingstowne amenities as well as Stratford places pool. Easy commute to Ft Belvoir and metro to DC and pentagon. Close to bus line, blue line metro, Kingstowne shopping center, restaurants, movie theater and more! Additional Photos COMING SOON. 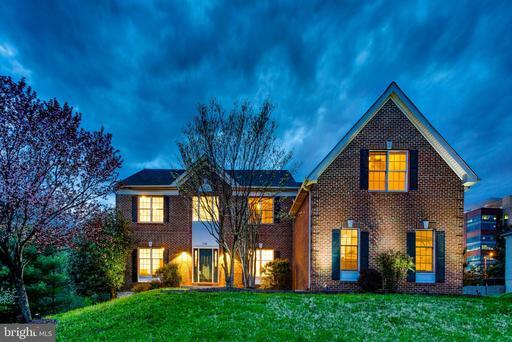 Beautiful home in Hunter Mill Estates with gorgeous updates throughout 3 finished levels! Backing to newly landscaped evergreen trees. Dual staircases to the upper level from the entrance and from the family room. Completely remodeled gourmet kitchen with a huge island including custom cabinetry running through the dining area, granite counter-tops, stainless steel appliances modern light fixtures and high end back splash end to end. Ultra-open layout across the main level with eat-In kitchen directly leading into dining area on one side and great room on the other. Two story great room with floor to ceiling stone mantel runs behind the fireplace. Formal living room and library/office on the main level as you come in from the main entrance. New wide plank oak hardwood across the main level and upper level foyer. 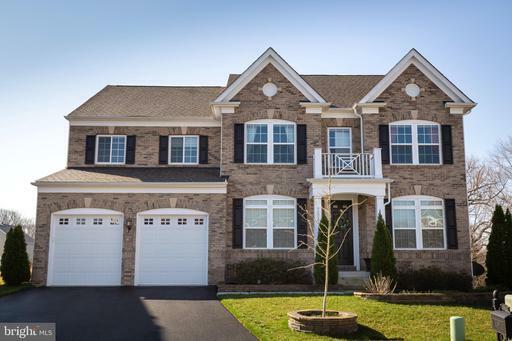 Upper level boasts 5 generously sized bedrooms 3 full Baths with all new plush carpet. Master suite with renovated master bath with glass doors and double vanities and stand-alone soaking tub. Fully finished basement with high end laminate flooring with rec room, newly done wet bar walk out to the back yard. Lower level includes additional bedroom, full bath and storage room. Updated, neutral paint, move-in ready. Neighborhood pool w/ membership availability. Conveniently located to the Dulles Toll Rd, the Silver Line Metro, WOD Trail. Exceptional condition with new roof and AC unit, Turn-key, wont last long! 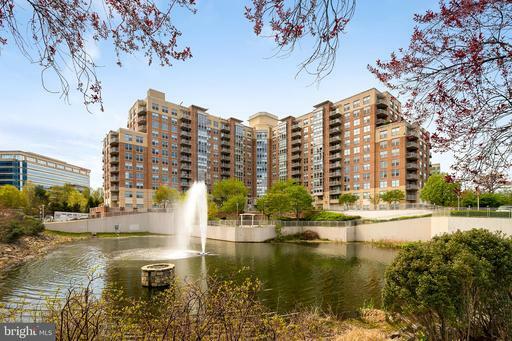 Nestled among the gorgeous red buds, cherry trees and dogwoods, this breathtaking setting is viewed from every window and captured outside by the Georgetown Garden, the Fire Pit Garden, the Koi Pond, Hot Tub and the Pool beyond. From the moment you drive up to this lovely home with the circular driveway and landscaped island, you will feel like you are entering a very special wonderland of color and charm, just minutes from downtown Great Falls yet miles away from the hustle as you contemplate the serene setting. Entering into the foyer with its slate floor, you begin to experience the many charming updates that make this home truly special. The gorgeous gourmet kitchen with granite island is open to the Family Room with wood beamed ceilings and built in shelving re-purposed from the old barn. If you haven~t fallen in love already, the Sun Room addition with its window walls overlooking the gardens, lawns, deck and pool will take your breath away. Many more surprises await with another addition that creates a second home office, a formal Living Room and Dining Room and an upstairs Master Suite with dressing area and luxury bath. The lower level is ready for entertaining with a large Rec Room with a brick fireplace, a wine cellar, and a guest suite with full hall bath. 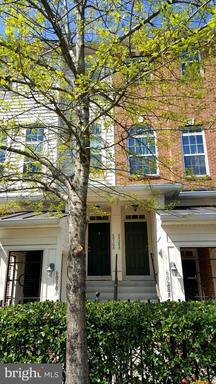 Updated stylish condo at popular Market Street~walk to everything you need~Hardwoods thru-out living area~updated kitchen w/ceramic floor, granite, SS appliances gas cooking~master w/walk-in closet extra wall closet~Stereo Surround Custom Blinds~WD in unit TWO reserved GAR spaces +++storage!! It will be hard to find this amenity package elsewhere! Reston Town Center Metro stop coming in 2020! 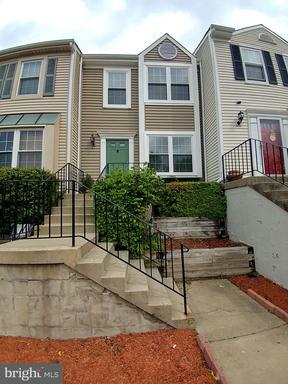 This appealing 3 bedroom, 2 full 2 half bath Townhouse is bright, spacious and a perfect place to call home! Built in 2005, this Bridgeport model home has approximately 2400 square feet of well-designed living space. It features an open and sunny floor plan with high ceilings, a huge granite Kitchen with island cooking and nearby Family room with gas fireplace. A spacious Master bedroom suite with private ceramic full bath, tray ceiling walk-in closet! Plus, a finished basement with Recreation room, half bath, laundry room and exterior door to the fenced back yard. There is plenty of parking with an attached 2-car garage, driveway and extra street parking for guests! It is in move-in condition with all new carpeting, freshly painted interior, and a brand-new heat pump and outside cooling unit! 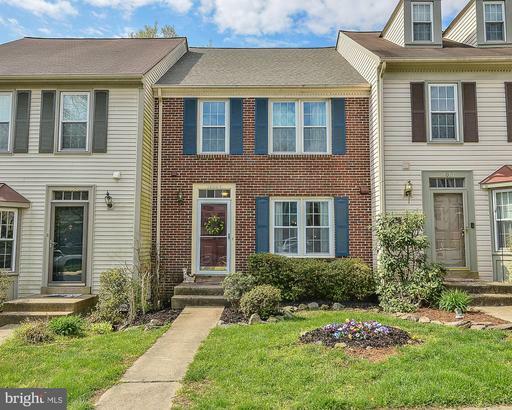 The Lorton Valley Community is loaded with attractive amenities ~ community center with party room to rent, a fully equipped fitness center, outdoor swimming pool, sport court, and several playground areas, plus trash and snow removal. The community has connectivity to the Laurel Hill shared use trail system with access to 10 miles of trails for use by walkers, runners, trail bikers and equestrians. 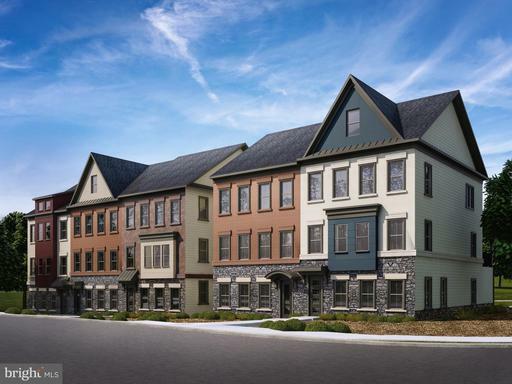 Lorton Valley is within minutes of Lorton Marketplace, the Lorton Town Center, and nearby shops, restaurants, schools and so much more! And for the commuter, there are commuter buses lots, the Lorton VRE station Virginia Rail Express, Interstates of I-95, I-495, Route 123 Ox Rd, Route 1 corridor and the Fairfax County Parkway are all conveniently close by to travel with ease throughout Northern Virginia and the Washington, DC metropolitan area! Three Bedroom one and a half bathroom Bungalow near downtown Falls Church City. Hardwood floors on main level except kitchen. Eat-in area in kitchen. HVAC installed 2018. 2 wood-burning fireplaces; one in living room and one in lower level. Walk-out from lower level to big partially fenced backyard. Washer and dryer in lower level. Upper level has two nice windows in front. Long driveway for convenient parking. Come One...Come All New Construction Buyers. Beautiful, flat, cleared lot on a beautiful quiet street. The lot allows for more than an ample building footprint, so multiple house dimensions will work. Great location with easy access to downtown Falls Church, Baileys Crossroads, Mosaic, Arlington and Alexandria. Contact Listing Agent directly for plat showing building footprint. Feel free to visit and walk lot from 10am to dusk but please do not park in driveway, park on street and lot is to the left of driveway of existing home. Please do not walk around house or pick flowers on the lot. SELLING OFF-SITE! SEPTEMBER DELIVERY! 20 WIDE TOWNHOME. RECEIVE $5,000 IN DESIGN OPTIONS AND $5,000 IN CLOSING COSTS! 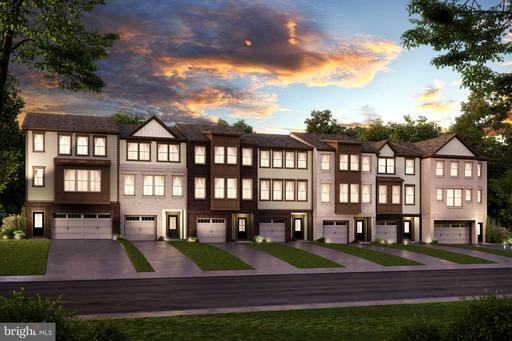 * NEW BEAZER COMMUNITY FEATURING GARAGE TOWNHOMES WITHIN THE LIVELY CORE OF ALEXANDRIA IN A SECLUDED PARK! THE BELHAVEN BOASTS AN OPEN, FLOWING KITCHEN AND GREAT ROOM - IDEAL FOR ENTERTAINING. DESIGNER KITCHEN WITH DOUBLE WALL OVEN COOKTOP. FIREPLACE IN FAMILY ROOM. AN OPEN RAIL STAIRCASE WITH OAK TREAD RISER STAIRS. REAR DECK. MASTER BEDROOM IS LOCATED IN THE BACK OF HOME FOR BEST EXTERIOR VIEWS AND NATURAL LIGHT. MASTER WITH TRAY CEILING. MASTER BATH WITH RAIN SHOWER HEAD AND FRAMELESS SHOWER ENCLOSURE. AREAWAY ON THE LOWER LEVEL. ARTS CRAFTS PAINTED SQUARE BALUSTERS. DESIGNER 12MM THICK LAMINATE FLOORING ON MAIN. DESIGNER PAINT PACKAGE. FALL IN LOVE WITH THE SURROUNDING TREES!!! PRICES/TERMS SUBJ TO CHANGE. FINAL PRICE DEPENDENT ON OPTIONS. PHOTOS MAY BE OF SIMILAR HOME. Welcome to ~Midtown At The Reston Town Center~, where living includes fabulous amenities and the Reston Town Center at your doorstep! CUSTOMIZED open floorplan with Master Craftsman workmanship and attention to detail throughout! Incredible home office built from the ground up, with two work stations, hand-made maple cabinetry with open shelving, closed cabinets and metallic tile wall accents. 7;5" wide beautiful engineered hardwood floors throughout, except for bathrooms. Fully remodeled Kitchen w/quartz countertops/breakfast bar, stainless steel appliances, stacked stone backsplash! Dramatic living room w/curved wall floor-to-ceiling windows, access to curved balcony with bird-eyes views, striking wall-mount fireplace w/entertainment center porcelain tile surround. Second bedroom w/custom designed murphy bed , access to deck, walk-in closet and full bath. Master bedroom with custom built-in twin armoires, king headboard and twin nightstands! Exquisite master bath features quartz double vanity, free standing bathtub and oversized shower. 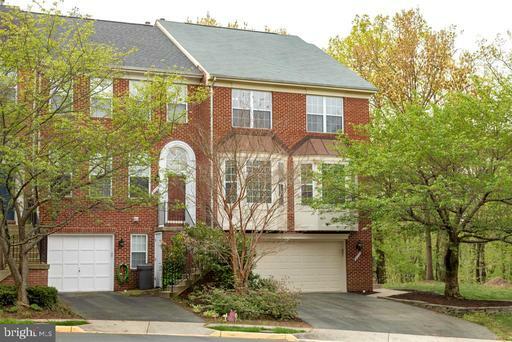 Minutes to major access roads, walk to future metro station, minutes to Silver Line Metro stop! 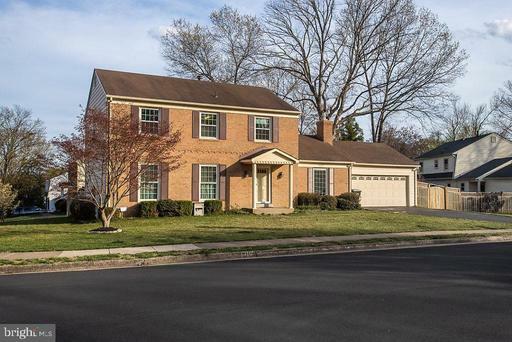 Beautiful and spacious colonial home in sought after Bradley Acres neighborhood. 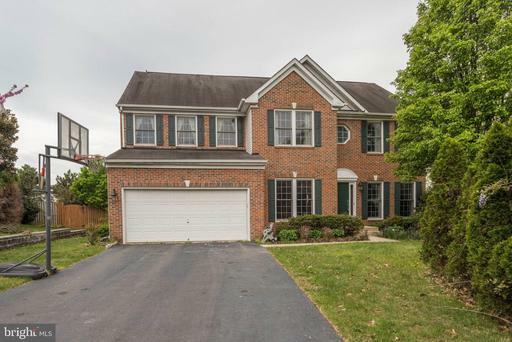 This 4 BR, 3.5 Bath home boasts too many upgrades . Gleaming hardwood floors throughout the main level . Renovated gourmet kitchen with new custom cabinets, granite counter tops, black stainless steel appliances and recessed lighting. Adjacent to the Kitchen is the open and wonderfully sized Family Room with vaulted ceiling,sky lights and wood fireplace. Huge master suite with sitting area and walk-in closets. Beautifully renovated master bathroom has new tile floor, freestanding soaking bathtub and separate shower. Other bedrooms are amply sized with large closet space. Finished basement shows modern fixtures and roomy entertainment space for family and friends. Full deck overlooking a spacious backyard. 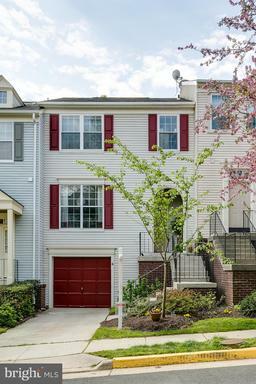 Conveniently close to Dulles toll road, Dulles Airport, Fairfax county parkway, future Silver Line metro. Must see! Few homes compare to this exquisitely crafted, 3,800 square foot, luxurious end-unit town home. Seconds to Tysons Corner Metro Station or bus stop right outside the neighborhood. Close to the best shopping in Northern Virginia highly rated restaurants. Upon entry into the foyer are separate, formal living dining room spaces with new light fixtures as well as crown chair rail moldings. A library is on the main level with custom, built-in bookshelves that include storage. The family room boasts a fireplace opens up to the kitchen creating functional entertaining space. The gourmet kitchen includes newer stainless steel appliances, sparkling new granite countertops, butlers pantry, work station tons of countertop space for food prep. The light-filled master suite has an unexpectedly large walk-in closet serene spa bathroom. Guests will love the bedroom suite with its own full bathroom walk-in closet. Two additional bedrooms, full bathroom laundry room complete the upper level. 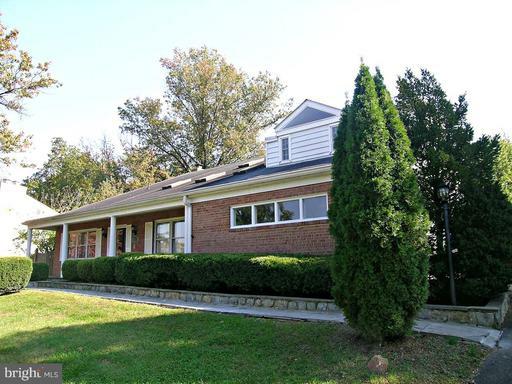 A fully finished, walk-out, recreation room is the perfect retreat on the lower level. Also on this level is a fifth bedroom, full bathroom storage room. The back deck overlooks trees which create privacy. The backyard is fenced with a patio as well. Two car garage, plenty of guest parking, hardwood flooring on the top two levels of course location make this home a 10! HVAC 2018, Water Heater 2015, Granite Paint 2019. 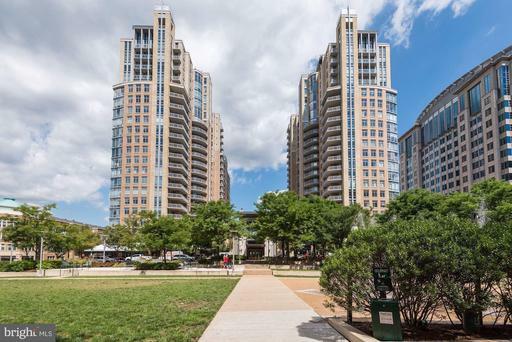 Enjoy this move-in ready beautifully updated two bedroom condominium located in the heart of Reston Town Center with an abundance of restaurants, shopping, and entertainment options. This home features an open living space offering vaulted ceilings, new plank flooring, and tons of natural light throughout. The kitchen boasts granite counters and stainless steel appliances. The open living/dining area is highlighted by the vaulted ceilings, gas fireplace, and access to the expansive balcony perfect for your morning coffee or evening relaxation. The master bedroom is the ideal retreat with wall to wall carpet, ceiling fan, and a huge walk-in closet. The updated master bath includes a new raised vanity with marble countertop and a linen closet. This unit also features a secondary bedroom with ample closet space and ceiling fan, a half bath with pedestal sink, stacked washer/dryer, and additional storage located across from the condo. Other updates include new windows, new pipes replaced throughout, and fresh paint. The Oak Park Community amenities include a clubhouse, outdoor pool, fitness center, and parking. 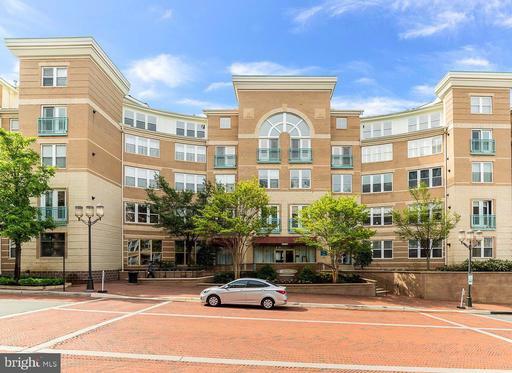 Ideally located close to major commuter routes include 267,7, and the Silver Line Metro. 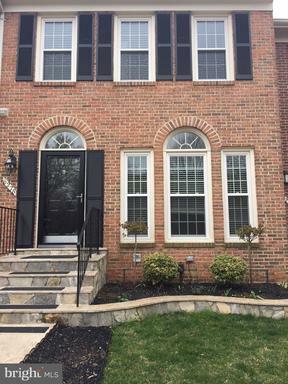 Welcome to 6173 Windham Hill Run, a gorgeous Keats model townhome sited on one of the most desirable streets in sought-after Kingstowne. 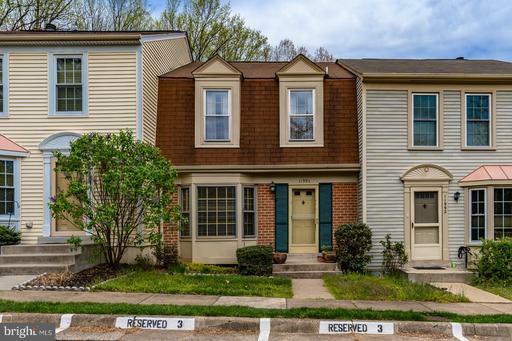 This lovely brick-front end-unit home backs to lush trees and has dazzling hardwood floors on the main and upper levels. Showcasing a well-designed open floorplan, it features both classic and current tasteful finishes throughout. The master bedroom features a dramatic vaulted ceiling and private master bath with an extravagant walk-in closet. The remarkable lower level feels nothing like a basement with an impressive wall of windows. Step out and unwind on the landscaped private patio and fenced-in yard. From the elegant moldings, updated lighting and fresh paint to the relaxing fireplace and large deck, this one has it all. 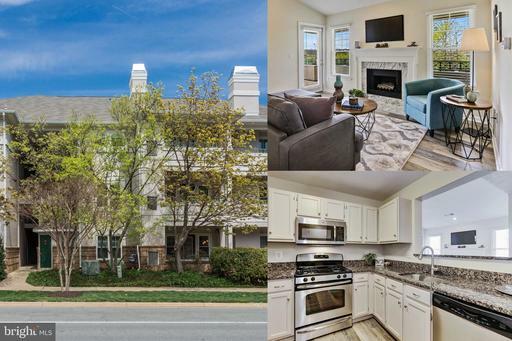 Ideally located, this fine residence is close to all the exclusive Kingstowne amenities and is a short drive from popular Wegmans, two Town Centers, Metro and Old Town Alexandria. INVESTOR ALERT!!! Wonderful tenants willing to stay for 2+ years. 2 Bed 2 Bath Condo epitomizes luxurious living at an affordable price! Excellent layout for roommates. Double master-suites located on opposite sides allow ultimate privacy. Large balcony with lots of natural light and view of olympic sized lap pool. Amenities include METRO shuttle service WFC Metro only 1.5 miles away, gym, sauna, year round pool tennis courts. Upgraded kitchen with exhaust vent to the exterior, in-unit washer/dryer. Gated community with 24hr Security. This unit also includes 2 front of building parking spots and large gated storage, both in limited supply and exclusive part of deed to this unit only. Pet friendly community with walking trails. Property sits on 23 wooded acres. Walk to a great IB High School, Public Library and Farmers Market. Minutes to Beltway, Dulles Expressway, 66 Metro Orange Silver Lines < 2miles away and to restaurants and shops at Tysons! Newer home close to Vienna subway. Solid, 3 level, brick home in premier location. 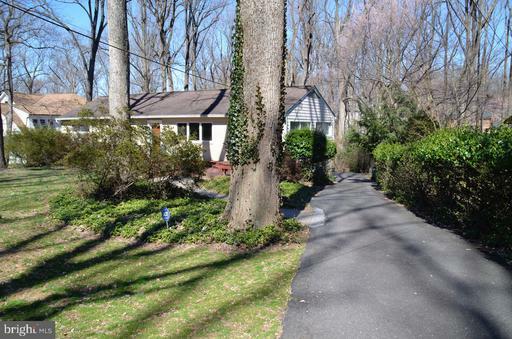 Oversized lot backing to open treed area, nestled on quiet street with sidewalks. Elevator. Gorgeous hardwood floors. Large, open concept kitchen with granite counters, large center island, gas cooking, stainless steel appliances. Big deck with gazebo off kitchen. Family room and separate library transition off kitchen. Huge master suite with sitting room and luxurious bath / dressing room. Also, 2nd master suite with bath sitting room. Bedrooms 3 and 4 share a Jack and Jill bathroom. Walk out lower level with billiards room, media / home gym, ample storage and entertainment bar. Keller Williams Realty/Lee Beaver Assoc. Pages: 44 Page: 1 2 3 4 5 6 7 8 9 10 11 See more homes at one time! Change to 10 12 30 40 50 70 100 150 homes per page.